This facility consists of upgrades and renovations to the existing 5,600-square-foot Hydraulion Engine and Hose Co. No. 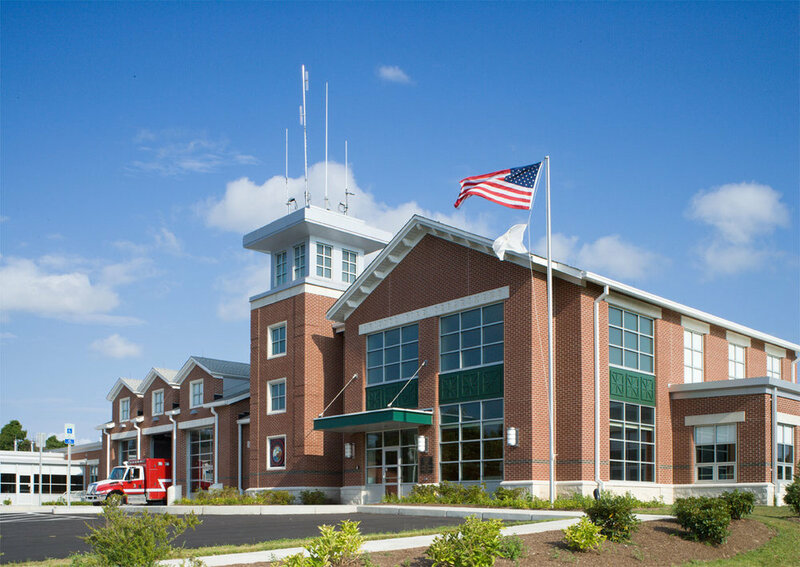 1 station, as well as the addition of 16,500 square feet of carefully designed space housing three departments in one facility: Administrative Headquarters, Division of EMS, and Training Division (with some spaces that are multi-functional). 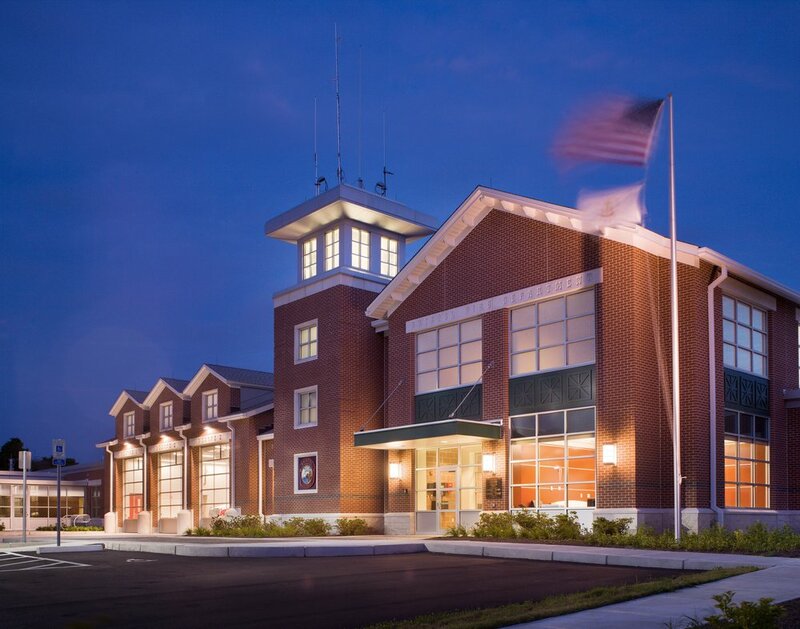 The existing connected fire station was renovated as part of this project, including thermal, mechanical and electrical upgrades, renovated interiors, new doors and windows, and a new front facade to tie into the design of the new adjacent building. It was important the building fit within the aesthetics of the Rhode Island historic town. The brick facade and peeked roof lines seemlessly transitional the new addition with the existing station. The new station has received LEED Silver certification including a collection system for rain water runoff used to wash the trucks, prioritized parking for eco-friendly vehicles, reduced waste during construction, and efficient building systems. The building is also used as an emergency shelter for the community. Even after fighting numerous weather delays throughout construction, the project came in on time and under budget.